DIY is all the rage in business practices. You see it everywhere. While it makes sense for the average person to do a DIY project once or twice, is it really the best decision for your real estate investing business to have every aspect done yourself? Outsourcing for real estate investors is more cost effective in the long-run, there’s no arguing that. Which parts of your business does it make more sense to DIY or to outsource? There are so many things you have to consider. That’s why we’re going to break down all of the different parts of your business and do a side-by-side comparison on how effective it is to DIY or outsource. If you’ve been in the real estate investing game for a while, then you know the time it takes to acquire new properties and manage the projects you’re working on. Depending on how long you’ve been in real estate you might already have a team of acquisitions and property managers. This situation is less of finding people to outsource traditionally (such as freelancers or interns) and more of team building. Never the less, the outcome is the same: is it better to outsource this or to do it yourself? When you’re working on acquiring and managing properties, what you’re really working on is a potential lead and overseeing projects that take up more time than you think. The time you’re spending talking to contractors about a rehab, or cold calling potential leads, is time you should be spending closing deals or building a quality buyers list. It’s no surprise that outsourcing for real estate investors primarily involves marketing and social media. Marketing, whether it’s online or offline marketing, takes lots of time and a certain amount of expertise. Just like the debate between DIY and outsourcing acquisitions and property management, when you outsource marketing and social media you’re saving yourself time. 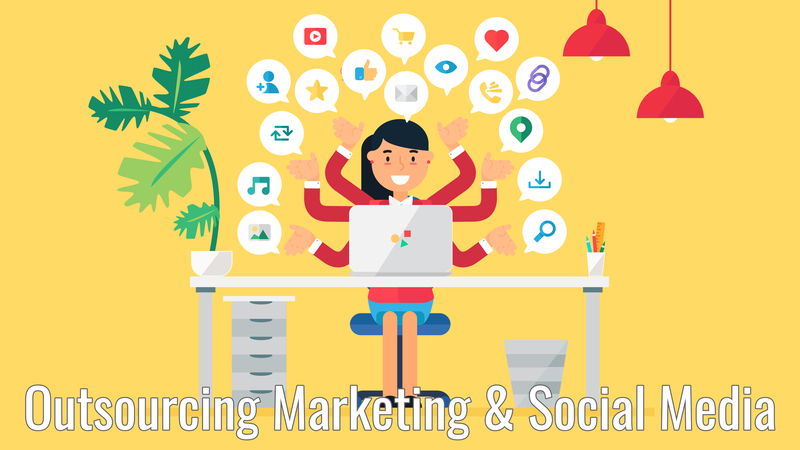 You need to think about more than how much of a time saver it is to outsource when it comes to marketing. The cost efficiency is an important thing to consider. What are you willing to spend in marketing as far as material, labor, campaign, employees, time, and so on? “$7,200 a year? ?” you might be saying, “That’s so much!” But think about how much one solid deal gets you. Because social media marketing is essentially an extension of SEO, just working organically can take a while to get leads. However, if you’re using Facebook as a PPC platform, you’ll be surprised at how quickly you’ll start getting leads (if you’re doing it right, that is). Depending on your market, you’ll be spending about $500 – $1,200 a month on PPC marketing on Facebook. Ok, so now take the $600/month for the freelancer and the – let’s say – $800/month in the campaign. Now you’re spending a rough total of $1,400/month. The nature of PPC marketing means you’re paying to play. The month you spend is making sure your ads get in front of a highly motivated targeted audience. A lot of real estate investors are already marketing on Facebook, and having a lot of success doing it. Within the first month they’ll start getting high quality leads. Let’s say you have a freelancers who’s managing your online marketing and you get a few leads in your first month for a property. Again, because the leads you get from this type of marketing are highly motivated, the conversion rates are much higher. Generally speaking, a real estate investor can gross $25k and up from a single deal. When you look at it that way, the cost of the acquisition and the cost of a freelancer is nothing. Especially if you compare it to what it would be costing you without outsourcing the marketing. Time: You’re a real estate investor, not an online marketer. Which means you’ll have to take time out of your business to learn the complicated ins and outs of online and social media marketing. So, the first thing you lose by doing it yourself is time. Remember, your time is very, very, valuable. 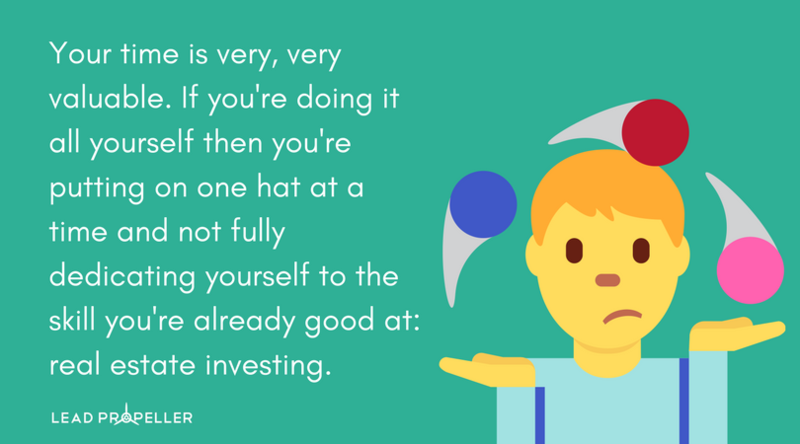 If you’re doing it all yourself then you’re putting on one hat at a time and not fully dedicating yourself to the skill you’re already good at: real estate investing. Money: Online marketing and social media isn’t a ‘set it and forget it‘ thing. It’s something you have to constantly be keeping up with. In fact, there are horror stories everywhere about investors forgetting about turning off a PPC campaign and losing thousands because it ran too long in front of the wrong audience (which means they didn’t get any leads). The time you’re going to be spending learning how to do online marketing, combined with the money you’re going to have to sink into it to learn what campaigns work for you is taking away from your real estate investing business. Time: Again, learning online marketing and social media strategies takes time. A lot of time. Roughly the same amount of time that it took you to learn the basics of real estate investing. And just like real estate investing, the market is always changing and evolving. You have to stay on top of it to be successful at it. If you’re spending all of your time on marketing, then who’s running your real estate investing business? Marketing and social media outsourcing for real estate investors puts you back in the driver’s seat of your business, as well as freeing your time up for the things you care about. Money: Frequent and high quality marketing means frequent and high quality leads. Because you’re a master real estate investor, converting those leads to deals isn’t the difficult part of the job for you. When you’re generating an insane amount of high quality leads regularly, the cost of a freelancer is just a drop in a bucket. It’s an expense, but it’s a necessary expense that generated more high quality leads for your business than you spending your valuable time cold calling prospects. 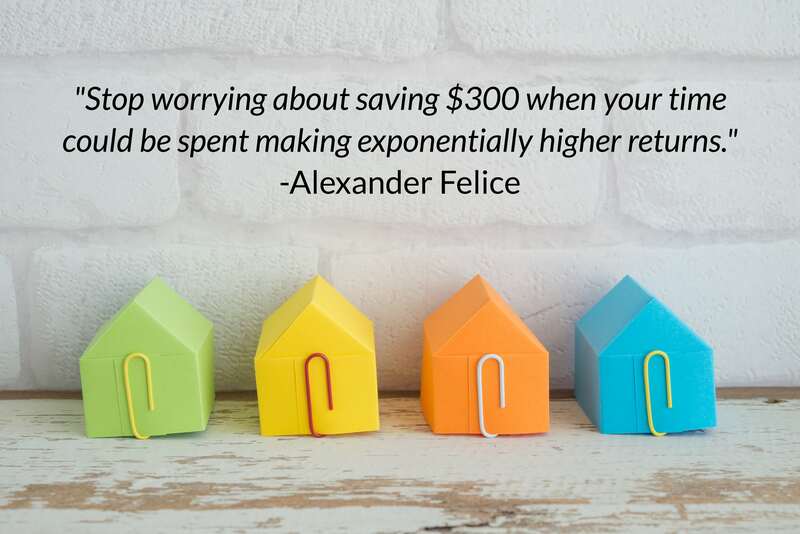 Honestly, we could go on forever about the costs and efficiencies of every aspect of real estate investing. Keep an eye out, we’ll probably do this topic in installments since there’s so much to cover. 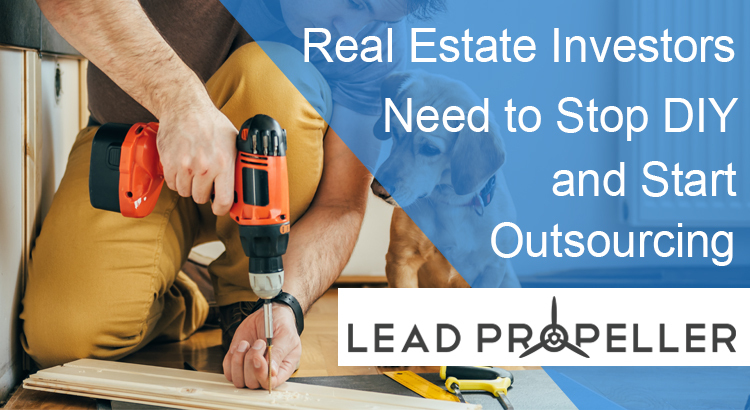 When you look at the breakdown of DIY vs outsourcing for real estate investors, it’s no wonder most successful investors are outsourcing a lot of the busy work. Which is exactly what most of this is: busy work. You got into real estate investing for freedom, not just financial freedom but freedom with your time too. While there are perfectly good freelancing services you can find online, you’ll have to spend the time working with the person to make sure they’re doing exactly what your business needs. Our team of expert online marketers won’t make cold-calls for you, but we will manage your online marketing. That’s what we’re experts at. You won’t need to train us because we’re specifically geared for real estate investors. And we’re here to help you make your business the best that it can be! Our managed online marketing services for real estate investors is always opened. Have a questions about how it works or what to expect? Give us a call! We’d love to talk to you about how to generate you more leads!